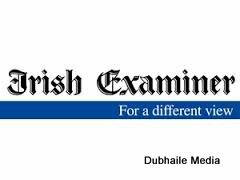 This article, written by Eileen on behalf of The Ahain Group, was published in the Irish Examiner in May of this year. A recent survey has revealed a startling fact that 40% of digital natives do not know that milk comes from a dairy cow. The term digital native is applied to the 15- to 25-year-olds who are being educated in the online space, and the statistic is mentioned in a report on social business in the food and drink sector by online social business strategists, the Ahain Group. Our research shows that pockets of the agricultural sector are seeking to remedy this lack of basic education through creation of rich media content and by deriving advantage from its ability to go viral; yet, on a global basis, use of this educative platform is fragmented and highly disorganised. In fact, within the food and drink sector as a whole, there is an underlying pattern when it comes to having a digital presence. There are those who believe in long-term planning and embrace the digital spectrum — and have achieved outstanding results — and those with an online presence but without the benefit of a strategic plan, who generally have yet to achieve the results that await them, online. Websites, email and use of social media are all playing ever more important roles within the food and drink sector. The majority of brands and producers realise that there are huge revenue advantages to entering the online space, with excellent potential returns on investment. Our research shows the top Irish brands on Facebook, such as Baileys and Tayto, have strategically engaged with consumers through brand promotion and innovative online campaigns and generated huge returns as a result. There have been many examples of local Irish food producers carving a successful niche within their sector through use of a mixture of inventive marketing and a passion in their product. Our report shows how James Whelan Butchers, Burren Smokehouse, and Keogh’s Farm, to name a few, have all achieved success in their own right and all have a strong focus on the digital space. Emerging businesses are taking best practice from companies such as these and applying similar strategies to extend reach and transform this into real sales. However, problems can, and inevitably do, occur occasionally and when they do, it is crucially important that the strategy has included a crisis management policy. Recent events within the meat industry have highlighted the clear need for such a crisis management policy. Online conversation about a product takes place outside the control of a company and the importance of interaction and of managing the conversation, is critical in these cases. The horsemeat debacle has highlighted the particular need for a crisis management strategy to monitor and apply limitations to the potential damage that can occur in these situations. Real-time engagement and conversation is key to influencing the outcome of a crisis and can only benefit those involved, over the long term, if competently managed. The online marketing model has been unarguably proven to deliver a return on investment when the strategy and the execution of that strategy is agreed and implemented accordingly. This is exemplified through the many example case studies featured in our report. They all show companies that have taken the time to understand why they should go online and who do so in accordance with a good, strategic plan, achieve excellent returns on their investments. Conversely, those companies that don’t understand the why, invariably do not achieve the desired returns. There is no business reason why everyone active in the food and drink sector cannot benefit from engaging in digital marketing and social business. Success can be achieved by strategic, long-term planning, an understanding of the digital space and of the importance of online engagement. Many companies have understood this and have deployed online marketing strategies with great success.